Today’s card was inspired by this great photo from the Curtain Call. anything fall themed, or a Thank You card. I chose a Thank You card because I am always in need of them. that in person. Very strange! Must be the camera. I wanted various colors of leaves, but not one that looks that far off. Oh well! This card was a lot of fun to put together! I just love the woodgrain background stamp…it worked out perfectly! 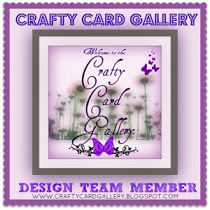 Categories: Cards | Tags: Card making, Cards, Inspiration photo, rubber stamps, stamping, Thank you card, thankful | Permalink. Beautiful card Nancy. 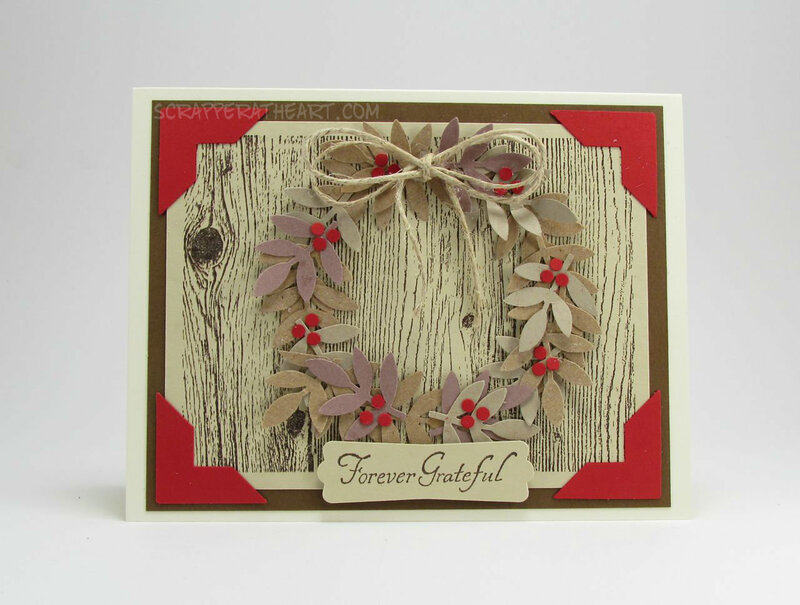 Love the wreath you created and the woodgrain background, perfect. I love your beautiful wreath! 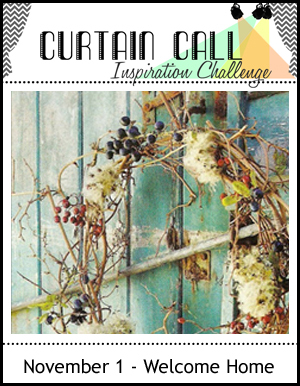 This card is so beautiful with the woodgrain background and the twine! Love it! LOVE your FAB wreath, the rope bow, and the colors! Great card, Nancy! Beautiful! Love how you created the fun festive wreath! Thanks so much for playing along with us at The Curtain Call!